The easiest INTENSAFIRE to install. 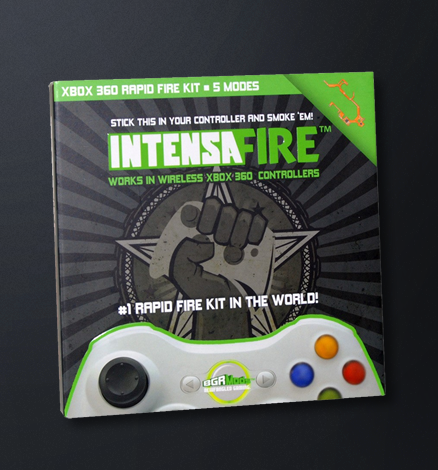 Compatible with all X-box 360 controller boards, to include Matrix 1, Matrix 2, CG 1, and CG 2 controllers. 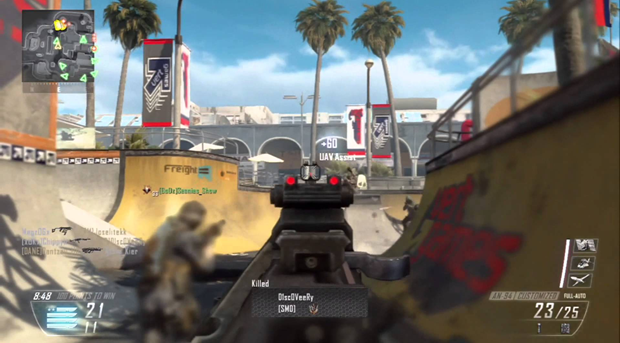 Mode #1 - Rapid Fire – For use of First Person Shooter games (Call of Duty, Battlefield, etc). Mode #2 – Slower Rapid Fire – For use of Gears of War. Mode #3 – Dual Rapid Fire – Allows using both guns simultaneously, and offers a cleaner rapid fire experience. Can use either trigger to operate this mode. This is a new feature. Mode #4 – NEW MODE – Double-tap shot for sniper rifle use. This eliminates the sniper rifle jerking up the screen and allows the shooter to be more accurate. Mode #5 – User Programmable Mode – This allows the user to customize the shots per second fired. This mode ranges from five (5) shots per second to thirty-six (36) shots per second fired, and can be adjusted on the fly. To activate the mode you want: Hold right trigger, tap the sync button the number of times for the mode you choose, and then release the right trigger. As you can see, this allows gamers to cycle through the modes at a much faster and easier pace which enhances their gaming experience. For activation of Mode #5, the User Programmable Mode: Enter mode #5. When the user releases the trigger, the LED will stay on. They are now in live programming mode. Tap the Left trigger to increase the speed they desire, and use the right trigger to test the speed. Once the user is at the speed desired, tap the sync button with no trigger pressed and it will flash back to the user mode. For quick deactivation of any mode, the user can tap the sync button to bring the controller back to basic use.